Flooded Thames from the sky - a week on Jump to media player Helicopter pictures show the flooding still affecting the Thames Valley. 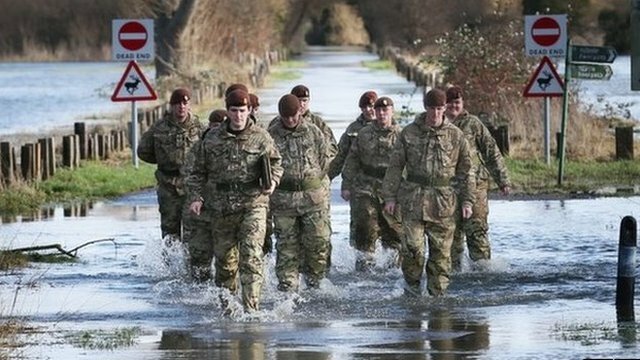 Flood woe continues as army moves in Jump to media player Almost one million properties have lost power supplies in the past week because of the severe weather, it has been confirmed. Battling with flood currents on Thames Jump to media player Across England, almost 6,000 properties have been flooded since the extreme weather set in in December. Robert Hall reports. 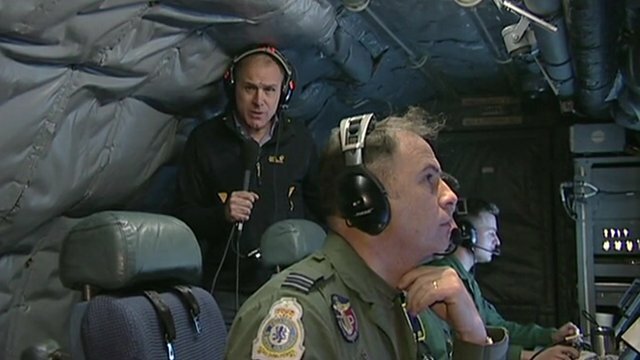 Spy plane sent up to map floods Jump to media player The RAF has been using its most sophisticated spy plane - the Sentinel - to map the scale of the flooding across southern England for the first time. 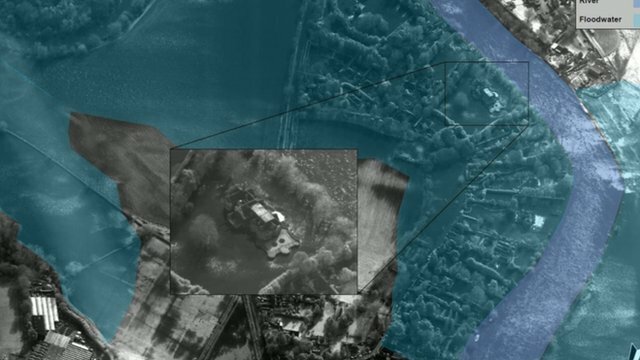 Tornado jet collects flood images Jump to media player An RAF Tornado jet was sent to collect high-resolution photos of flooded areas in the Thames Valley. 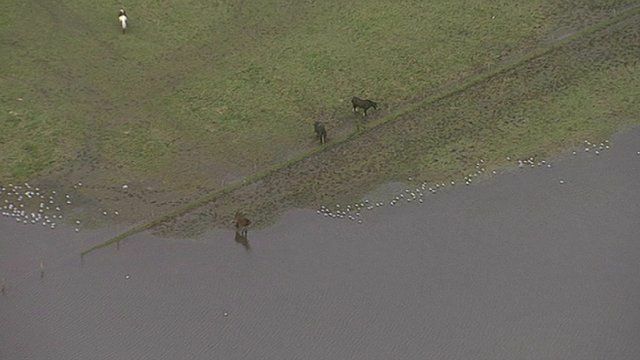 Thames Valley from the air Jump to media player Parts of the UK are again facing flooding as forecasters warn a further band of stormy weather later could mean the strongest winds of the winter. Helicopter journey along the Thames Jump to media player As flood relief efforts continue across the Thames Valley, the news helicopter took a trip along the river to see which areas were affected. 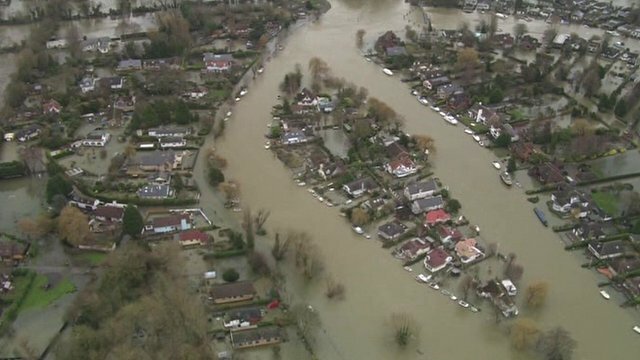 Some areas near the Thames are still underwater after more than a week of flooding. 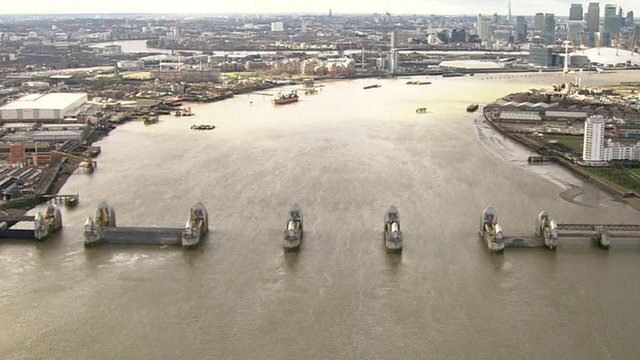 BBC London's Riz Lateef has been up in a helicopter to see what the situation is like now.